Water is a resource under increased stress, with its management now cited as one of the greatest risks to business continuity and growth. 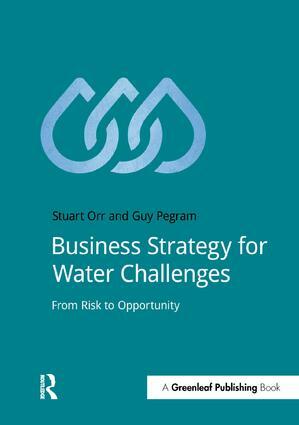 This concise guide for professionals offers strategic steps for developing a corporate water stewardship strategy. It will enable you to: define business water risks, and the opportunities associated with those risks; explore, through sector-specific profiles, risks associated with regulation, reputation, external response and engagement, and physical incidents; develop a clear plan and process for creating, managing and mainstreaming a corporate water strategy; identify several initiatives and new risk tools that your company can use to stay on top of best practice in water management. With the advent of risk tools, and a growing list of testaments around business risk from water, we are now able to respond more appropriately to how this resource is impacted by and impacts upon business. Use this book as your guide as you begin to build your company's strategy around water. What Is Business Water Risk?